ConnexPay - Simply Connecting Payments - Transforming Payment Acceptance & Issuance for Travel & E-commerce Providers. 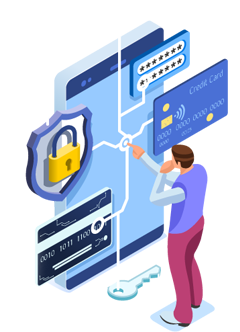 ConnexPay’s technology reduces risk resulting in lower cost of accepting cards, unlimited credit, simplified reconciliation, and provides additional cash to invest in growth. ConnexPay is changing the way online travel companies and e-commerce providers do business. There’s nothing like our solution in the marketplace. More than just a standard merchant processor and card issuer. Our patent pending technology includes intelligent routing for each transaction, credit unlike credit, and consolidated pricing. ConnexPay transforms payment acceptance and issuance for Travel Companies and E-commerce providers by offering a revolutionary way to minimize risks and reduce costs in accepting payments from clients and issuing payments to suppliers — while avoiding the need for large lines of credit or prepayments. The comprehensive, integrated solution incorporates powerful fraud management, PCI-certified payment acceptance and payment issuance — driven by ConnexPay’s patent pending intelligent routing and single-use virtual cards — to handle every step of the process, all through a single provider under a single contract.